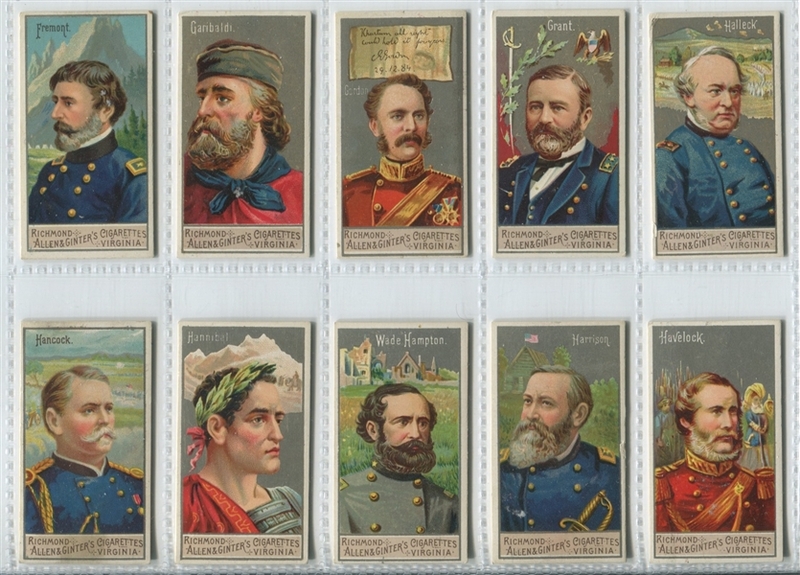 The N15 Allen & Ginter Generals set is arguably one of, if not the most beautiful A&G set. 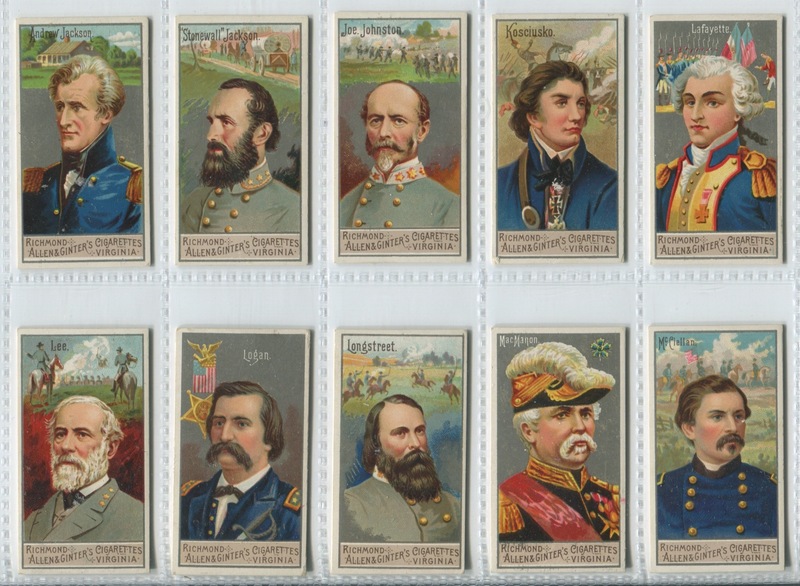 The lithography on the cards is superb and the coloring pops on high grade examples. 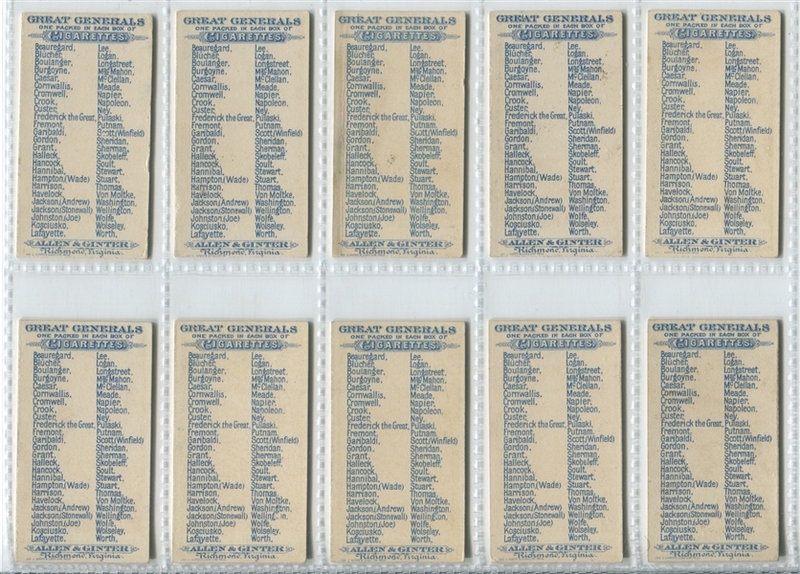 This set is just that--a high grade set averaging in the VGEX to EX+ range. 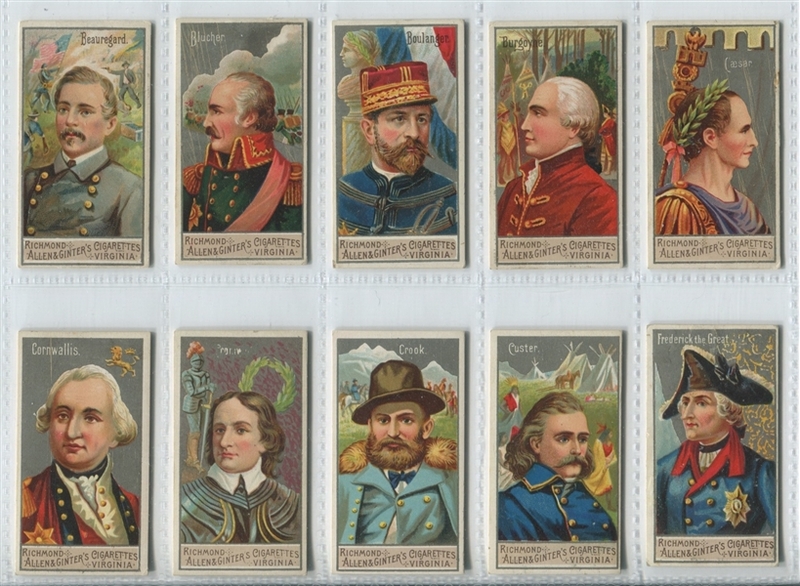 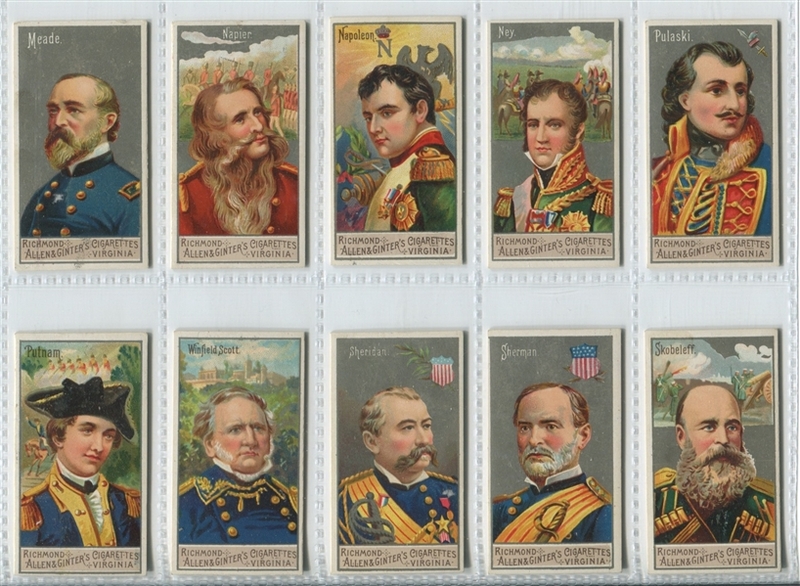 The 50 card sets contains famous generals throughout history. 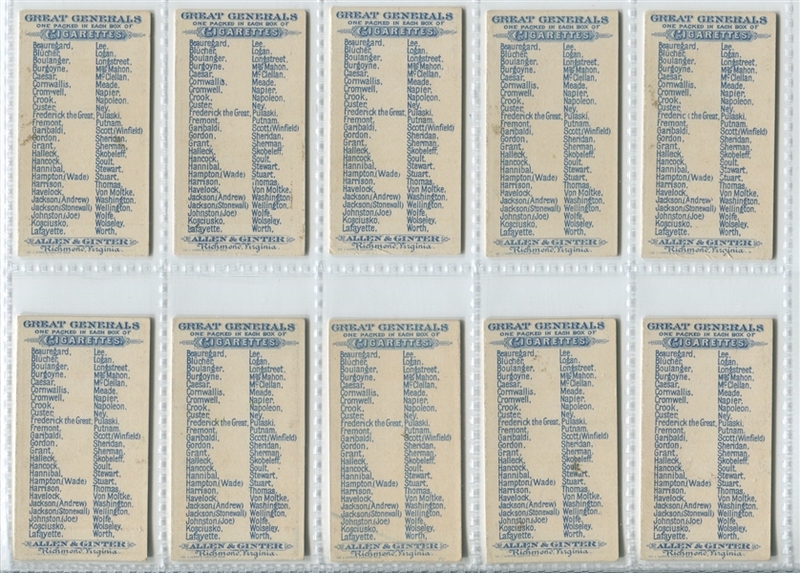 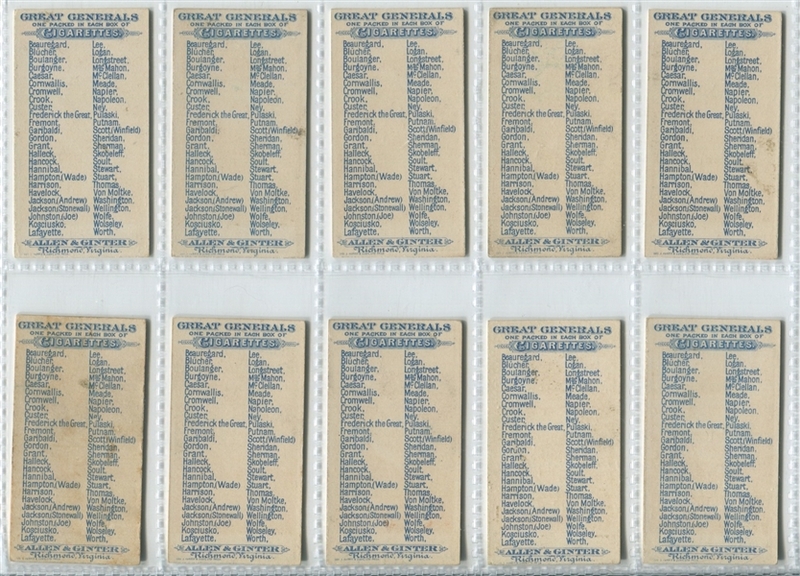 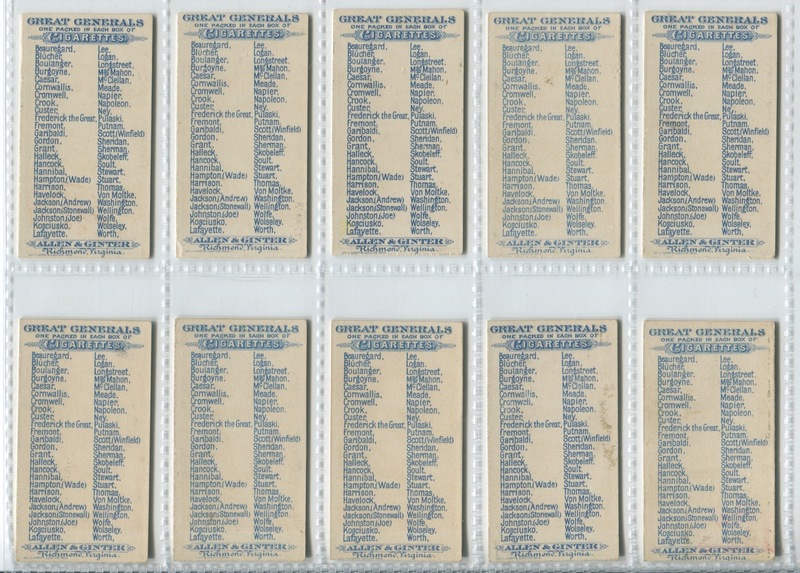 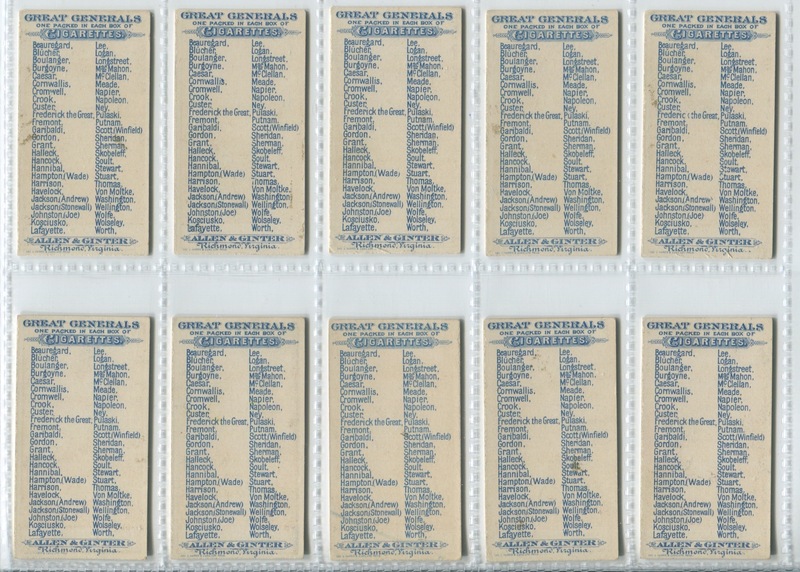 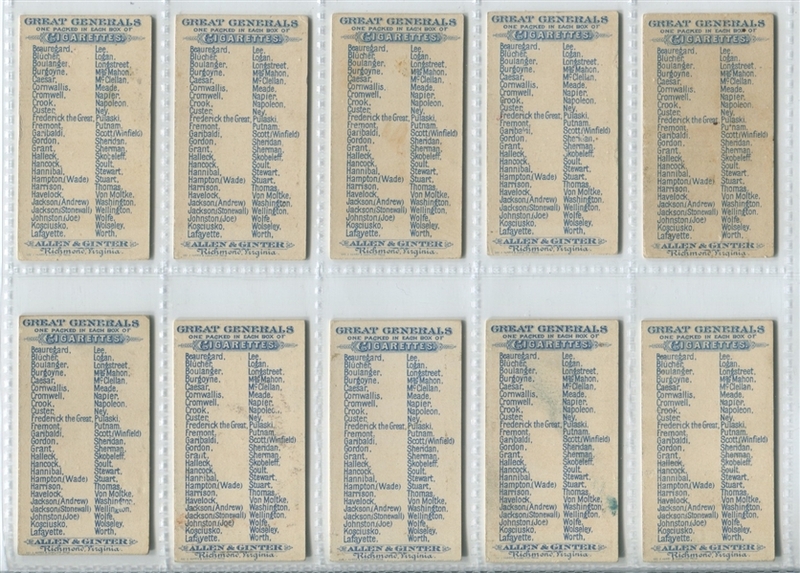 While the bulk of the generals in the set were in the recently completed U.S. Civil War, there are also famous generals like Caesar, Napoleon, Cornwallis, Hannibal and George Washington, among others. This is one of a few Allen & Ginter sets that seem to have surface issues and are commonly found with some level of flaking on the front. 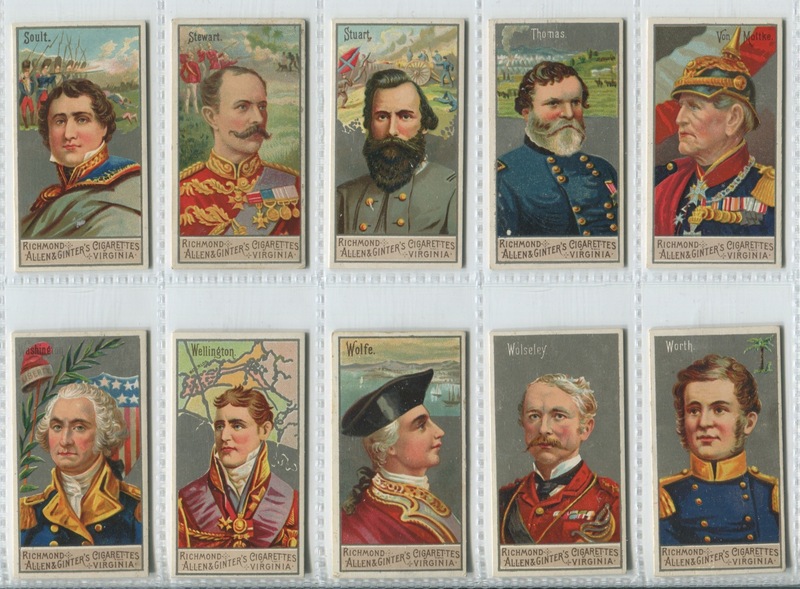 This set does not suffer from that issue. The condition breakdown on this set is as follows: VGEX to EX condition (47 cards) and GVG to VG condition (3 cards). Extremely even conditioned set that is nearly crease free. Beautiful addition to any upper echelon collection.